What makes you happy about your kitchen? For me, my favorite features that my kitchen has are the flat stove and wealth of cabinet space. We moved from a smaller student apartment that we lived in when one of us went back to school into a bigger, more spacious apartment. This was a fantastic upgrade. But there was a problem: we didn’t have enough stuff to fill out all of our cabinets, including the ones in the kitchen! When you don’t have a lot of stuff to fill your storage space, it can become a problem that people think only happens when you have too much stuff. It becomes a mess and things get easily misplaced. As such, my kitchen organization was pretty deplorable. Just look for yourself! The photo above is of two of my own kitchen cabinets before I started my kitchen organization. I named the cabinet on the left the “miscellaneous cabinet” because it has everything from coffee to mail in it. The one on the right is a ingredient/spice cabinet for spices that didn’t fit in the center cabinet (a cabinet dedicated for spices) and random sauces, ingredients, and cooking supplies. I didn’t include the center cabinet in this because it’s actually pretty nice looking already because I changed most of our spices into matching cute little spice jars when we moved. Yeah. It’s a mess. I know. With cabinets like these, we never know where things are located. Things are always moving around, too, because nothing really has a “home”. Now, this photo on the right is my most frustrating cabinet. It’s my food cabinet. There’s dry and non-perishable goods in this cabinet as well as baking ingredients and seeds. The problem with it largely is that I can’t reach some of the ingredients on the higher shelves and that I have to pull them all out to get to some. Also, things spill or fall a lot in the bottom shelf. We have to cram pasta in on the right to get it to stay. Otherwise, it falls out. Yikes. Second to function, we all want a kitchen that looks good. But doing one often results in doing both. So, that’s what I’m going to teach you how to do while demonstrating using my own kitchen. Let’s take it piece by piece. oa packages that I had from the store, as well. All in all, there wasn’t a ton for me to throw away. But what I did manage to throw away freed up some room which allowed me to have some extra space in my dry goods cabinet pictured on the left here and allowed me to take a shelf out so I could fit my tall mail organizers pictured later in the article. One important part of my kitchen organization that I had employed even before cleaning up my cabinets was repackaging things. Repackaging is always a great tip for the kitchen and bathroom because original packaging that comes with our products and food/ingredients can be pretty bulky and make it actually harder for us to find things. So, I didn’t have much to repackage myself because it was already done. But I do recommend repackaging your dry ingredients like flour, sugar, and seeds because they keep their properties much better in a moisture-free air-tight container. I already had three organizers in action in my kitchen cabinets. I had a jar for dog treats, a jar for pens, pencils, and markers, and a box for tea and individual packages of coffee and hot chocolate. However, one that I desperately needed to incorporate into my cabinets was the mail organizer. There’s one for new mail and one for old mail. Mail always piles up for us. We just aren’t great at throwing it away when we’re done with it. At least this way, we wont ever have to worry about accidentally throwing something new away that we needed to keep. Now that you’ve decluttered and have all of your containers and organizers, it’s time to take on the final step of kitchen organizing closets edition. And that step is putting it all away. The key here is keeping like with like. Put things together that are of the same kind. For example, I keep my tea and hot chocolate together because they’re similar in that they both get brewed with hot water. I keep my dry ingredients together because I often have to use them at the same time. I keep my spices together. And I keep my pasta and rice together. You get the point. 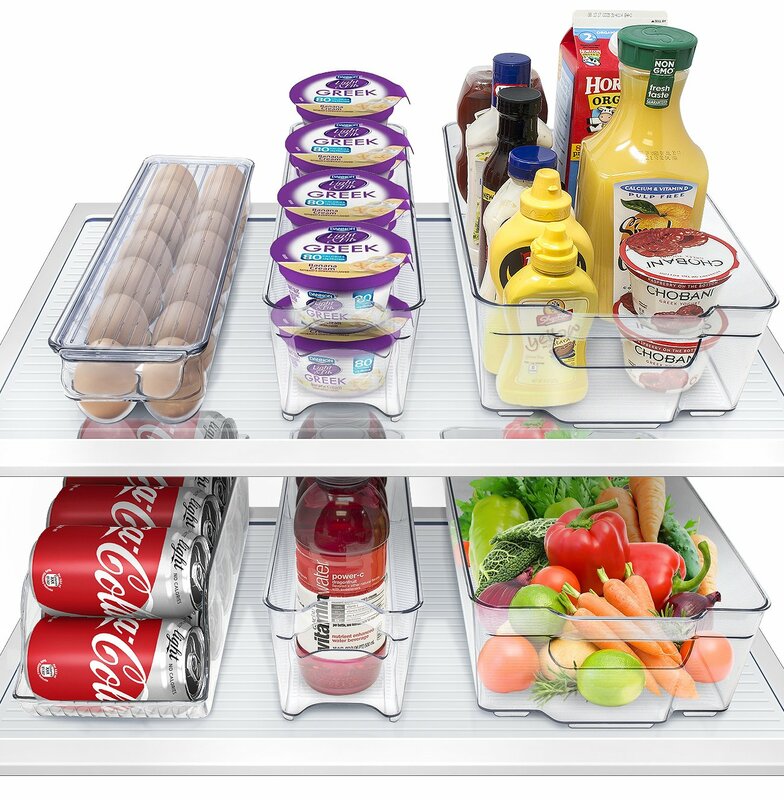 The other important aspect of organizing your cabinets is to keep things ordered according to priority. So, while I do bake a lot, I use things like salt and pepper more. So, the salt and pepper are on the bottom shelf where they are most accessible. The shelf on top holds gluten alternative flours because I don’t bake with them as often. See what I mean? It makes it a lot easier to access things in your kitchen. It also makes it easier to put things away and keep it clean. With all this said, you can be well on your way to creating a kitchen cabinet environment that is both functional and nice to look at. The steps are really similar to that we employed last week when we organized our bathroom storage spaces. It makes cooking and snacking a heck of a lot easier to have everything you need easy to find and within reach, as well. All in all, it took me about twenty minutes to do all of this and I feel like it made a world of difference in the kitchen organization front. So, what do you think? Is it time to tackle your own kitchen cabinets? Whether you’re one of the lucky ones who has a big ol’ walk-in pantry or you’re like me and resort to kitchen cabinets to store your non-perishables, we could all do with some better pantry organization. My pantry is always over-stocked. Whenever we grocery shop, it’s hard to resist the cheap bags of pasta and the need to buy more oats. I always buy things faster than I can eat them. That used to be a problem, but after organizing my pantry I found that it was easier to stop over-buying and made knowing what to cook for meals a lot easier. Pantry organization upped my cooking game! And my snack game… oops! With everything in plain view, I always know what I have. I also always know just where to find it, what we need to buy more of, and to top it off: my pantry looks great and clean! So, if you’re working with a big pantry or a little pantry and you’re just looking for some better pantry organization and efficiency, read on! These tips are for you! Our pantry, be it a closet, a big room, or a cabinet, has doors. This provides a previously unused space for more storage. You can add plastic shelves to the back of your pantry doors or screw individual containers to the back. Alternatively, for those with big doors, you can hang a shoe organizer back there and store everything from bags of pasta to tasty snacks! I don’t recommend storing canned goods on the back of the door or anything with a lot of weight behind it because it might bend the hinges. Things like cereal, oats, and chips would benefit from being transitioned from their original container into a uniformly sized plastic or glass container. 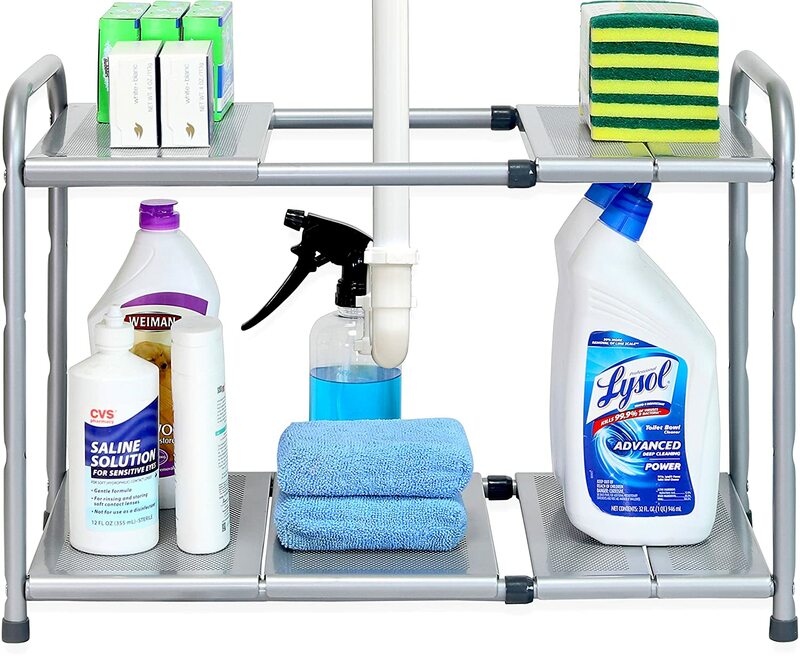 This makes your dry goods more easy to stack. It also looks a lot better than seeing the labels. Plus, you can see exactly how much is left because the containers are clear. If you can’t store canned goods on the back of the door, where should you store them? Well, here’s an idea! Grab some magazine holders. They’re the perfect size to stack cans on their sides. You’ll fit a lot more in your pantry without needing to constantly pick them up off the ground after they roll off the shelf onto your toes. Ouch! Snacks come in all different shape and sizes. But one thing they often have in common is that little oblong hole in the top of their packaging. This hole is used at the grocery store, so they can be displayed on a hanging display. How do you store those? Well, take a page out of the grocery store’s book! All you need to get to make your own hanging display is a skinny wooden board, glue, and curtain clips. It’s an easy project that takes only an hour or two and it makes storing snacks super easy. with the crates. That way you can store taller items there. Then when you want to get them, you can easily pull them out into the light. This is also great for bulk items and items that are heavy.Labels make a pantry look neater, more fun, and allow you to make changes as necessary. They’re a great addition to pantry organization! Labels will allow you to find exactly what you’re looking for instantly and you won’t have to look at a mess of clashing labels. You can use any kind of style or font. You can also use markers that will wash off in the dish washer. That way, you can write directly on your container. Then, when you want to change it, just pop it in the dish washer! Something that has always bugged me about pantry organization is that my spice jars come in all different sizes and shapes. I originally rectified this by moving them all to matching containers. But then I discovered the idea of using drawer organizers made of wire to organize them. Simply screw these wire organizers to the wall and create a shelf of them on the wall. Your spices will be really well organized and will be easy to find! Heck, use two! Lazy Susans are meant to make corner space that is otherwise hard to use into functional, practical space. Stick them in the corners of your pantry, or mini ones in your cabinet, and you’ll have easier access to your food items! These tips are all great. But the easiest way you can your pantry is by using baskets. You can get baskets that fit your taste. Simply put them on your shelves and fill them with like items. It’s easy to do, cheap, and looks great! With these quick and easy tips, your pantry will go from mess to magic! Some of these tips take longer than others, but even the more work-intensive ones are worth the effort. Your pantry gets a lot of use. Do yourself a favor and re-organize it! Organization is a gift you give yourself. That includes pantry organization!